And wake up in my childhood bed in my folks’ house and have not a clue what I was going to do with my life. It stopped me cold. Like a fish brained with a gaffing hook. I would not wake up in that bed and not know what I was going to do next. Instead I staggered down the streets of Tel Aviv from public john to public john (Tel Aviv is a dysentaric’s paradise—every other block, about the limit of my range, had a public toilet) toiletfeasted on by parasites and tormented by what to do with my life. On some unheralded street corner, I busted out of the box of what a person’s life was supposed to be: lawyer/doctor/hedge-fund trader, wife, kids, house in the suburbs and, with great conviction, said to myself that my life is going to be non-standard. At the next step, however, without realizing it, I lost faith. I decided that I needed a day job, a survival skill that would support me in my non-standardness. At no point did it occur to me that I could pay my own way on my own terms. Instead, still host of a parasitic zoo, I worked up a list all the jobs that would give me the freedom I wanted, where the market wanted me more than I it, which had no lengthy educational investment, and which paid enough so that I could take two years off for every year I worked. My list included, nurse, travel agent, and computer programmer. It was with great distaste that I chose programmer. Computers violated my sense of divine purpose and confirmed my own geeky/nerdness which I was desperately fleeing. For months, embarrassed, I told no one of my plans. But that’s what I becisrael_syria_hospital_2013_08_04ame: a computer programmer. 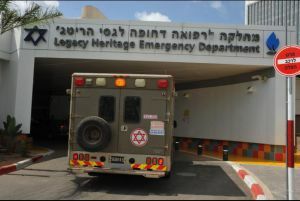 Somewhat to my surprise, Israel has hospitals. An Israeli doctor loaded me up with drugs, flushing out the bugs, and I wandered through Asia for another 7 or 8 months. On returning home, broke, I jumped into a trade school that taught me a few computer languages. I headed back to Alaska with a resume spotted with the phrase “hands-on experience” trying to disguise the fact that I didn’t have a clue what I was doing, and my first career was launched.